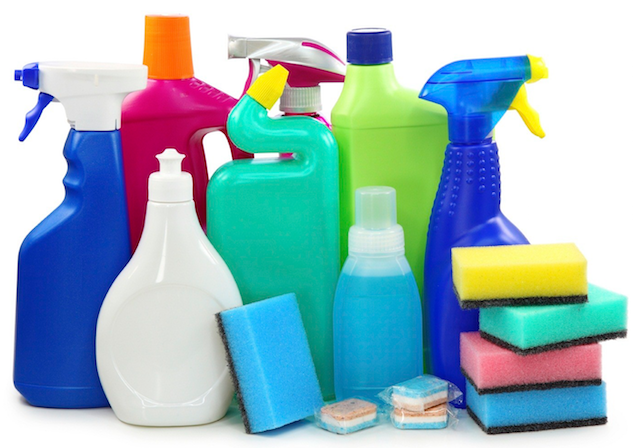 There have been many reports lately on the dangers of using cleaning chemicals in your home. The ingredients of these products or often very hazardous and toxic. The good news is that green cleaning solutions are available now and there are even services for chemical-free carpet cleaning. The truth is that most people think of steam cleaning carpet for deep carpet cleaning but there are other options that don’t use so many chemicals. The Fort Wayne steam cleaning companies use soaps, detergents and phosphates in their service and use a acid-rinse solution for the purpose of rinsing out soap and water from carpet. You probably don’t want any of these chemicals around your children or your pets. There is also a method call dry carpet cleaning that is 100% chemical-based. This process is not as popular as steam cleaning so you might not have heard of it but what happens is the Fort Wayne carpet cleaner applies a chemical compound on the carpet that dissolves dirt and contaminants. This is good in that the dry carpet cleaning doesn’t require water but bad in that the chemicals are even more prevalent than steam cleaning. You can avoid carpet cleaning chemicals in your home if you hire a green carpet cleaner and Chem-Dry of Fort Wayne in Allen County, IN. The process we use for carpet cleaning doesn’t require soap or chemicals at all. Our method uses the power of carbonation and very little moisture to permeate carpet fibers and lift deep dirt to the surface. After that, our equipment extracts the dirt and our cleaning solution from the carpet for good. The results of Chem-Dry of Fort Wayne carpet cleaning are healthier than local services that use chemicals and water and drier and cleaner too. For 100% safe and chemical-free carpet cleaning in your home, call (260) 409-1138 today!